Tone legs and burn calories while seated! 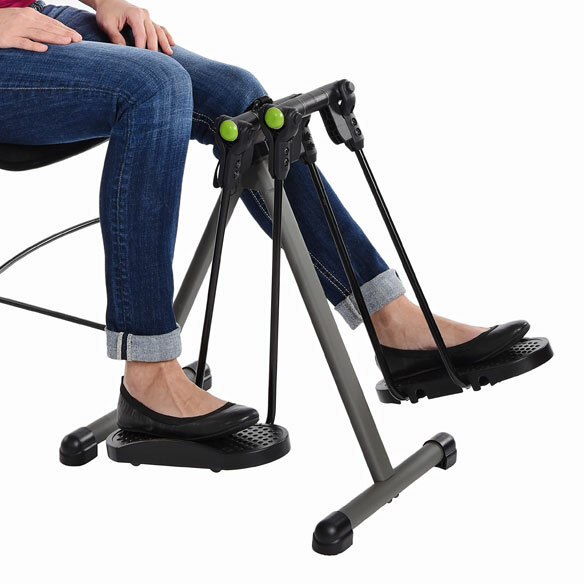 The WIRK orbit Strider features unique 360° hinges that let you move your lower body in all directions while seated in a chair. 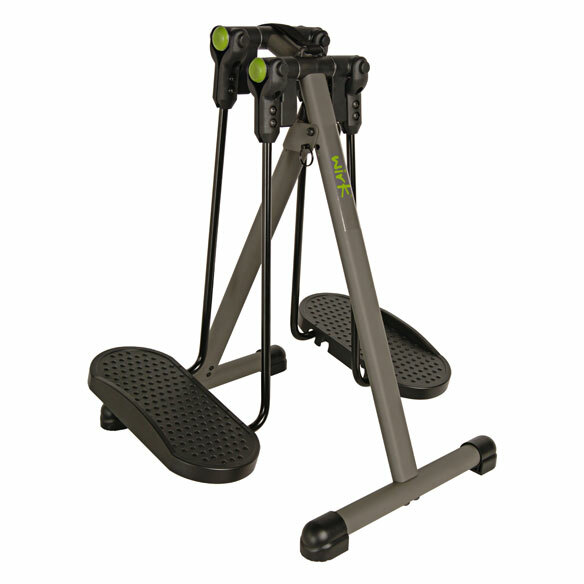 Tone and strengthen the hips, thighs, hamstrings and calves without the resistance of inconvenience of bulky traditional workout equipment. Large textured footplates keep feet in place, while the intuitive design keeps knees level for maximum comfort. 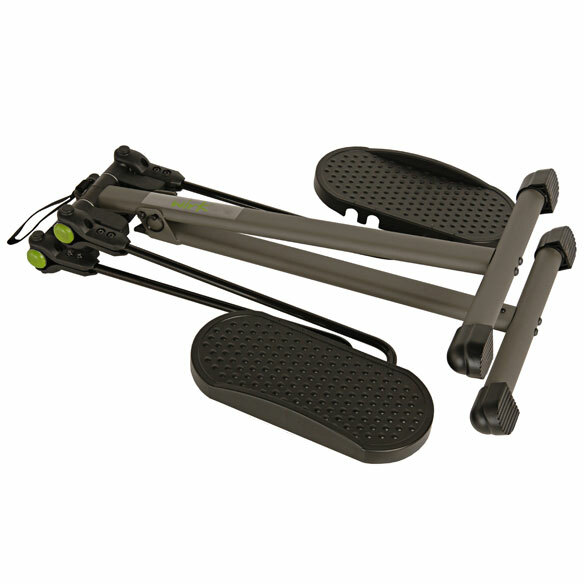 Foldable frame with carrying strap allows for easy transportation from home to the office. Sturdy metal and plastic construction. 18”L x 14 1/4”W x 24 3/4”H; weighs 11 lbs.